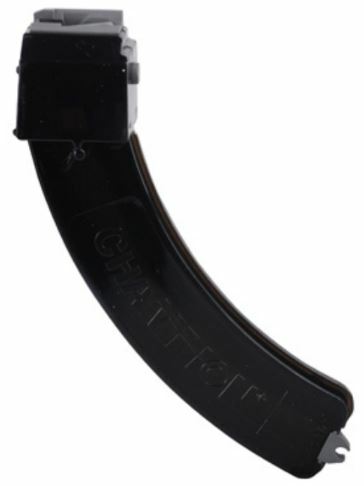 This 25-round magazine is easy loading, easy to clean and made in the USA. A locking feature enables shooters to attach two magazines together for extended trigger time. Illinois: We do not ship rifle magazines over 15 rounds to Aurora, or over 16 rounds to Franklin Park, or over 10 rounds to Oak Park.